Nomination deadline extended to February 16, 2018! Award season is in full swing, and the lakes community is no exception! 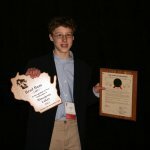 It’s time to nominate your favorite citizen, group, or business for Wisconsin Lakes Partnership Lake Stewardship Award. 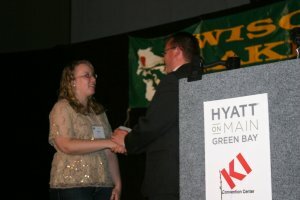 The Stewardship Awards are handed out each spring at the Wisconsin Lakes Partnership Convention in celebration of the extraordinary volunteer and professional efforts made to protect and improve lakes in Wisconsin. The Stewardship Awards represent our best collective effort to honor and celebrate all the incredible work that goes into securing a bright future for Wisconsin’s lakes. Nominating a lake steward is easy – find more information on how to do so here – and nominees are eligible for the award for three years following their nomination. The Lake Stewardship Awards banquet will be held Thursday, April 19 at the WI Lakes Partnership Convention in Stevens Point. The best awards come from you. So this awards season, help us identify the powerful lake stewards that are restoring and protecting our waters. The nomination deadline has been extended to February 16, 2018, so there’s still plenty of time to nominate your favorite lake steward! Click here for nomination instructions and more information!